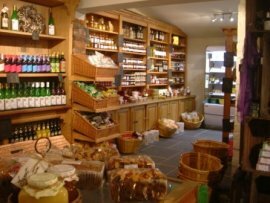 Multi-award winning farm shop and quaint olde English tea room with antique laced table cloths and bone china tea service, serves a wide range of specialist teas and artisan coffees. Long established florist (1947) on-site. Animals, walks, well worth a visit.